Valsartan HCTZ is indicated for the treatment of hypertension. Treatment should not be initiated with these combinations. 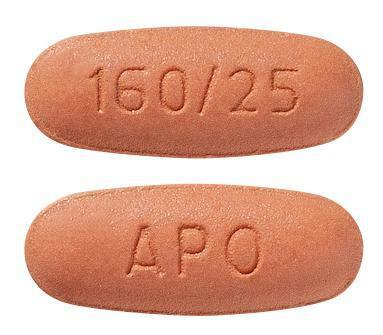 Brown, modified, capsule shaped, film-coated tablets, engraved 'APO' on one side and '160/25' on the other side.